This former casino boat “The President” now “Pier 2 at the Landing,” is the Southern Belle’s dockside facility. It is the perfect setting for your private event. 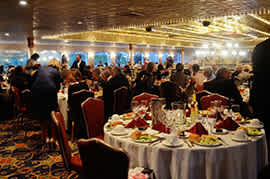 Pier 2 is a stationary boat that offers the grand chandelier deck as the perfect banquet facility. 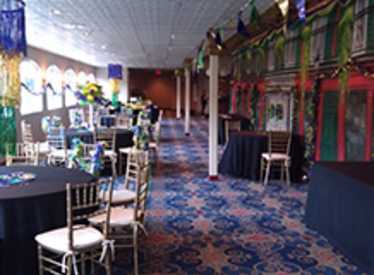 The mezzanine deck can accommodate up to 350 people for luncheons or dinners & up to 475 for hors d’oeuvre functions. It has a covered outdoor patio area to take in the gorgeous views of the riverfront. 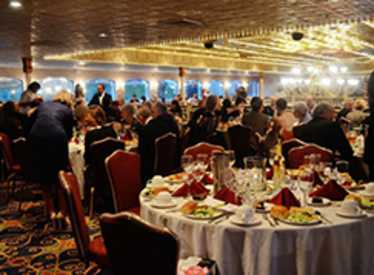 This is the perfect place for weddings & receptions, reunions, & corporate functions. 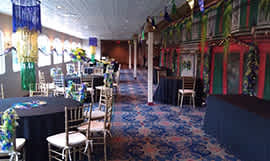 Please call 423-266-4488 & ask for one of our group sales team members to assist in planning your special event.